As a translator, I spend many hours a day at my computer, yet for years I didn’t give my keyboard a second thought. I switched happily between a basic external keyboard – the sort that comes bundled with a desktop computer – and my laptop keyboard when I was out and about. After all, I thought, if it ain’t broke, don’t fix it. Six months ago, I was asked to give a webinar on typing tips for translators (on touch typing, shortcuts and other time-saving solutions) and I exchanged a few emails on keyboards and layouts with The Keyboard Company experts, who casually mentioned that “mechanicals are like the old car advert… Once driven, forever smitten”. Fascinated to discover what I had been missing all these years, I bought a Filco Majestouch-2. Remember what it’s like when you buy a new kitchen knife? You suddenly realise how blunt your old knives are. I’d spent years typing on a mushy keyboard, not realising how much effort I had to make for each keypress. I wasn’t getting any aches or pains and I could type fairly fast on it (I average about 75 words per minute). Why splash out on a new keyboard if you’re getting on OK with your present one? Well, a membrane keyboard gets harder to type on as time goes by because the rubber domes under each key get stiffer. It happens gradually so you’re not aware of the change. It’s a bit like putting on weight: you don’t notice until you get on the scales one day or try to squeeze into last year’s jeans. Mechanical keyboards are completely different. From the very first test run, I was smiling. If you’ve ever tried mechanical switches, you’ll know what I’m talking about. The Cherry MX Brown switches are a joy to type on. They have a bright, crisp feeling, with a slight bump (tactile feedback) to tell you when the keypress has registered just half way through the key travel. That’s totally different from a membrane keyboard, where you have to press each key right down to the base (bottoming out, as the experts say). With a mechanical keyboard you can type more lightly. It was actually quite hard not to bottom out the keys on my Filco to begin with, but after a few days I’d learnt to exert just the right pressure. I don’t think I’m typing faster now, but I’m definitely typing more lightly. What about the noisy reputation that mechanical keyboards have? Well, for a start, many freelance translators work from home and not in an office, so there’s not much of a chance of bothering coworkers (unless you count your cat). On the other hand, I was a bit concerned that the clicky keys might invade the peace of my silent home office. Fortunately it hasn’t bothered me at all. I know brown switches are quieter than others (blue being the noisiest), but I actually find the rhythmic clatter quite conducive to keeping up a good translating pace. I wanted a keyboard with a Spanish layout. It’s easy to switch input language with Windows and I can key in an ñ or an é without looking down, but with an English layout I confuse curly brackets, asterisks and other rarely-used symbols. The Filco Majestouch-2 comes in a wide range of languages, so it was a perfect choice for me. For professional translators who have a keyboard at their fingertips all day, the extra cost of a mechanical keyboard should be a minor consideration in their work set-up. We invest in the latest software and up-to-date hardware components; a good quality keyboard should go hand in hand with those investments. If you calculate the cost per year of keyboard life, the investment is actually minimal. The downside is that mechanical keyboards seem to have more teething problems than others, and I was unlucky that I had to return my first Filco due to occasional keystroke issues. The upside is that a mechanical keyboard is an investment that will last. They have a longer lifespan than their membrane counterparts, which is good news for translators who crunch their way through 2-3 million keystrokes a year. After several months, I went back to my old Logitech membrane keyboard, just out of interest. It was stodgy and tiring to type on. After just half an hour, I could feel the finger fatigue. Honestly, I cannot believe I ever thought this was comfortable. What keyboards do other translators use? You’d think that most translators would be mechanical keyboard fans. Or that they’d go down another road and use ergonomic keyboards. 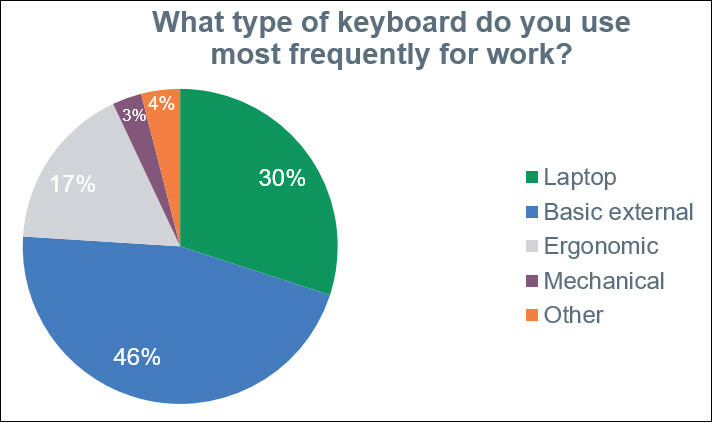 I’d love to find out why so few translators use mechanical keyboards. Is it the expense? Is it because they’ve simply never tried one out? Please drop a comment below with your thoughts on this. Which keyboard do you use and why? And if you’re not a translator, but would like to share your favourite keyboard and the reasons you chose it, I’d love to hear from you too! 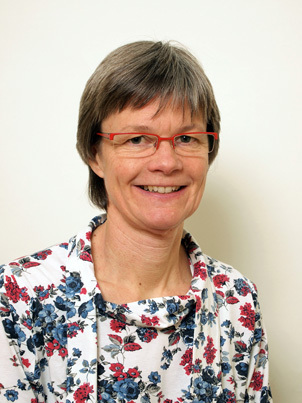 Emma Goldsmith is a freelance Spanish to English medical translator who made a career switch from nursing some 25 years ago. She translates a wide range of texts, from cardiology research articles in medical journals to the leaflets that come in medicine boxes. Find out more about her at goldsmithtranslations.com.